Griffin has announced the release of the TuneFlex AUX HandsFree. 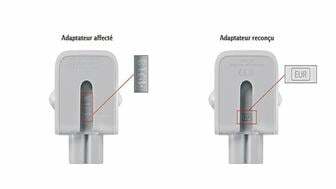 Apple iPhone, iPod and iPad accessory specialists Griffin, has announced the release of the TuneFlex AUX HandsFree. The device uses your car stereo's AUX port to listen to your iPod or listen and talk handsfree on your iPhone whilst it charges. Griffin has designed the cradle to house your iPhone without taking it out of its case. The TuneFlex's flexible steel neck adjusts to keeps your iPhone or iPod just where you want it promises Griffin. "Plug in to your car stereo's AUX port with the included AUX/Mic cable to listen to tunes. When a call comes in, the music will fade out all you have to do is simply tap the Multi-Touch display on your iPhone to answer," Griffin explains. "The call audio plays through your car's speakers and the cable's high-sensitivity microphone picks up your voice loud and clear. Meanwhile, you can keep your hands on the wheel and your attention on the road." The Griffin TuneFlex AUX HandsFree is available from www.griffintechnology.com and costs £34.99.